It was like a reunion from the days of Foto Freo. They all turned up. 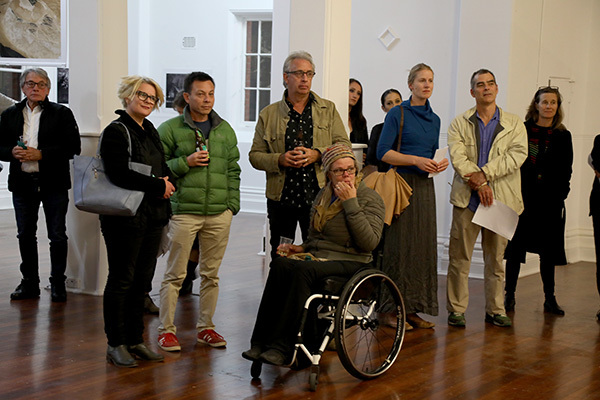 David Dare Parker, Graham Miller, Kevin Cooper from FUJI in Sydney, Bob and Helen Hewitt from the Foto Freo festival, Sue Lynn Moyle from Art Source, Bohdan Warchomij, Eva Fernandez, Felicity Johnston from Art Collective WA. 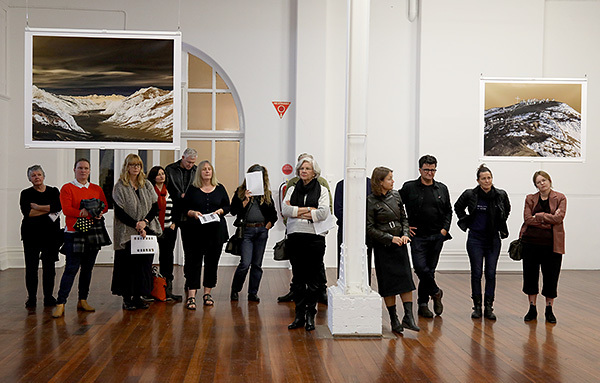 A pensive Brad Rimmer was the centre of the attraction with his imposing and powerful work from the six week artist exchange in 2017 in the Swiss Alps at the Arts Source Old Customs House Gallery 8 Phillimore Street Fremantle. 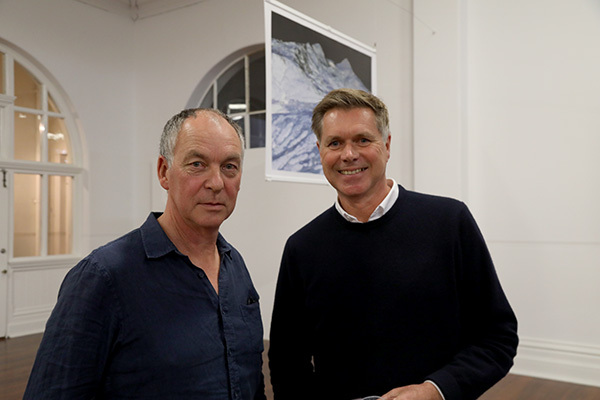 The exhibition, beautifully printed and beautifully hung in a minimalist but beautifully renovated space in the heritage building included large images of the Matterhorn, the wrapped Rhone Glacier, the Gorner Glacier, the Riffelhorn and the Rhone Glacier. It runs until the 15th of June 2018 from 2-5pm from Wednesday to Sundays and is a must see for anyone remotely interested in photography of this high standard. 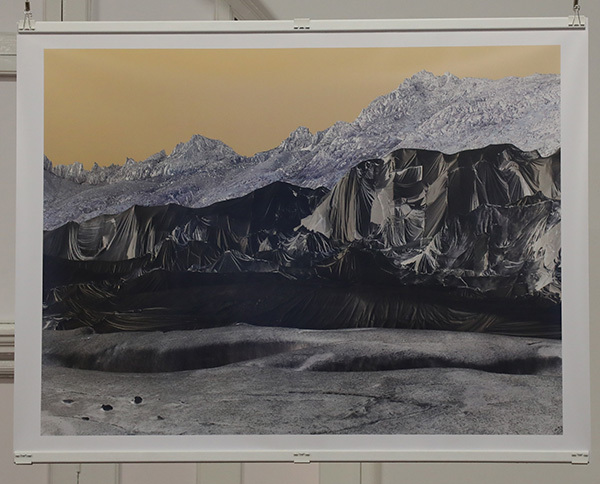 This Sunday 3rd of June at 2 pm in the same Gallery there will be an artist talk by Brad Rimmer. 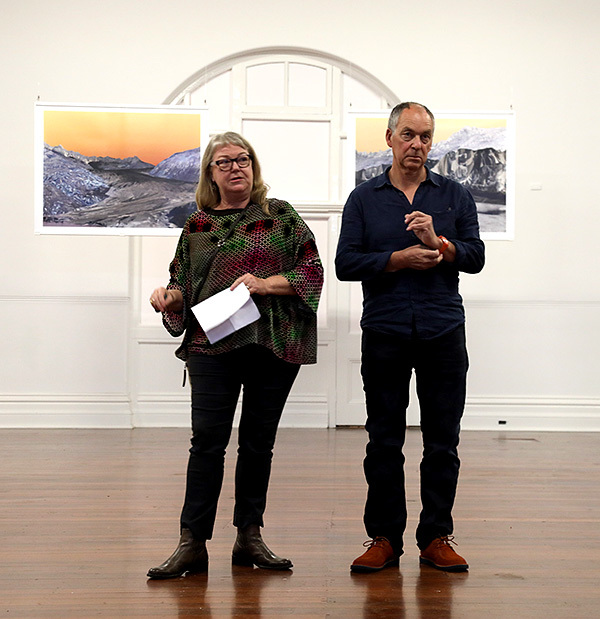 The Arts Source Artist Exchange is under threat from funding cuts and politicians should come to this exhibition to see both the value in the program and in the artistic product. Brad Rimmer from the town of Wyalkatchem in the central wheatbelt in West Australia probes at the essence of rural Australia and has exhibited internationally, in the Pingyao and Lianzhou International Photo festivals in China, at the 2006 Brighton Photo Biennial in the United Kingdom, and Kaunas Photo 08 in Lithuania. This foray into the Swiss Alps, with their mythological significance, touches on environmental issues, environmental fragility and significant loss from global warming. 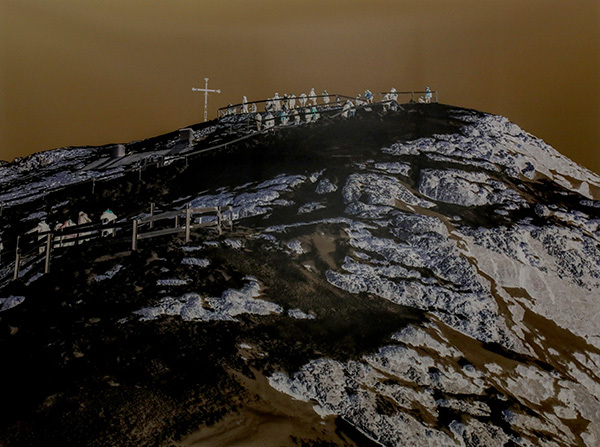 The colour images have been inverted from digital positives and printed as powerful negatives. This insight and technical process leads us to question deeply what is happening in our fragile universe.